Manali Ladakh Trekking are popular destinations in India. These areas offers a wide range of Himalayan scenarios to the curious traveler. 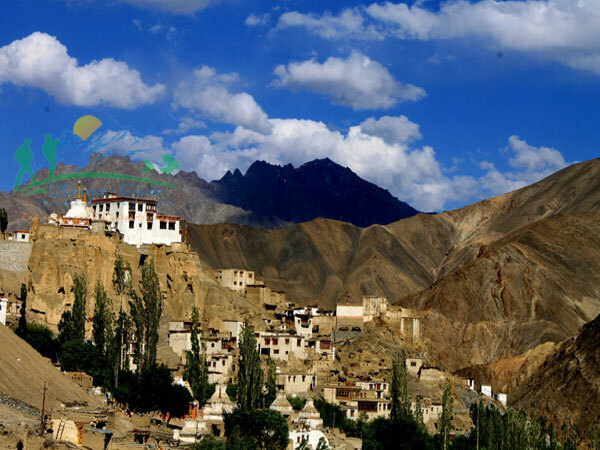 Ladakh is at the northern most part of India and is cradled in the Himalayas.The Leh-Ladakh tour packages take you on an enchanting trip to the Himalayas. The tour to Leh-Ladakh includes a trip to the beautiful city of Srinagar as well. Manali Ladakh tour itinerary, for the Leh-Ladakh tours are drawn up in such a way that not only do you get a view of the picturesque surroundings but also a glimpse of the culture and religion of the region. 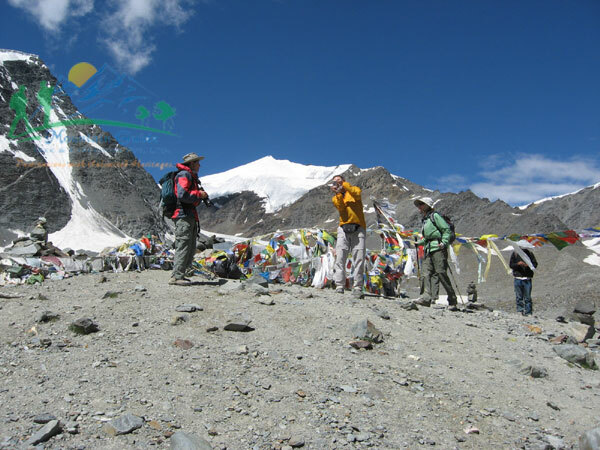 Mountain Guide Trek & Expedition has been arranging all sort of adventures in India, the tours to Manali Ladakh is one them. Manali was earlier known as Manyul "the land of men" with its unique character and place in the World, bounded by two of the world's mightiest mountain ranges, the Great Himalayas, the Karakoram, the Ladakh range and the Zanskar range. It is located in the rain-shade of the Himalaya, an arctic and high altitude mountainous desert. It has beautiful wild flowers, a wide range of mountain animals, hundreds of species reside and migratory birds, and so as the cheerful and courteous people inhibit in the area. Especially people who are Tibetan, Balti, Dard and Aryan ethnic strains are residing in the areas making it like a melting pot. 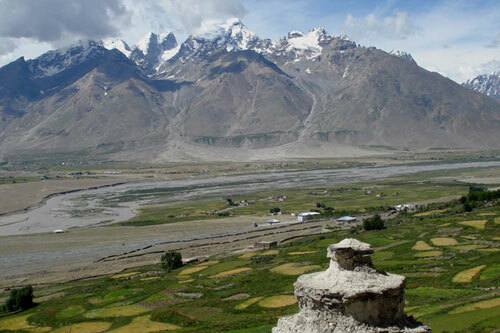 This isolated regions of Zanskar fosters the non-mongoloid Drogpa tribe in the Indus valley between Khalsi and Battalik, and the Changpa nomadic shepherds of the eastern plains are some of the most attractive and fruitful subjects of study and travel. 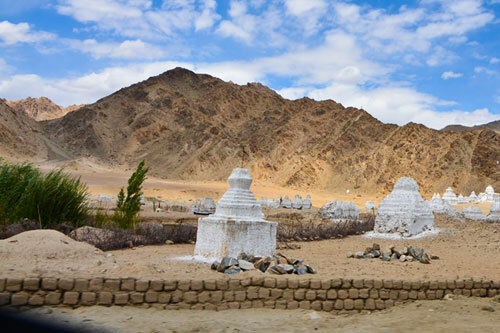 The road journey from Manali to Leh, offers hikes over some of the world's highest passes and the most stunning mountain desert landscapes and promises to stir up the appetite of those seeking a truly Himalayan adventure. Day 01: Arrive Delhi, meet and transfer into a hotel. Day 21: Mcleod Ganj to Amritsar. Day 22: Amritsar to Delhi. New Delhi, the capital and the third largest city of India is a fusion of the ancient and the modern. Standing along the West End of Gangetic Plain, the capital city, Delhi, unwinds a picture rich with culture, architecture and human diversity, deep in history, monuments, museums, galleries, gardens and exotic shows. Comprising of two contrasting yet harmonious parts, the Old Delhi and New Delhi, the city is a travel hub of Northern India. Narrating the city's Mughal past, Old Delhi, takes you through the labyrinthine streets passing through formidable mosques, monuments and forts. The imperial city of New Delhi displays the finely curved architecture of British Raj. Later visit Old & New Delhi such as Jama Masjid, Red Fort, Lotus Temple, Qutub Minar, Humayun's Tomb, Akshardham Mandir, India Gate, etc. Overnight stay at Hotel. 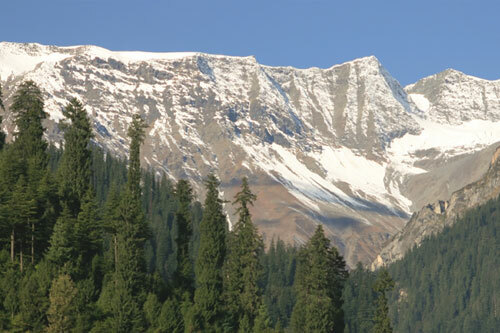 Take the dramatic morning flight to Kullu, then continue by jeep to Manali. Manali is the northern-most town of Himachal Pradesh's Kullu Valley. Situated on the national highway that leads to Leh, Manali is also the gateway to the remote and desolate valleys of Lahaul and Spiti. According to Hindu legend, it was named after the sage Manu after he steered a boat of survivors to safety here during a great flood. In present times, the town was first 'discovered' by the hippies of the 70s and 80s. Later, in the 90s, domestic tourism to Manali got a fillip owing to insurgency in Kashmir. It caught the public's imagination and was soon a legitimate Boomtown, eventually growing far beyond its original village size. On Arrival at Manali Check in at Hotel. Rest for Day at Leisure. Overnight at Hotel. Morning breakfast at Hotel drive to explore Manali. Hadimba Temple: The Goddess Hadimba is revered in this area. She was the sister of the demon Hadimb who ruled the mountains and was feared by all. When Bhima, the Pandava brother met her, he fell instantly in love and wanted to marry her. But he had to kill her brother first. After the death of her brother, Hadimba proved to be a good queen. She was fair and loved by all. She finally went to the woods called Dhungri Van Vihar to spend her last years in mediation and it is at this spot that the Hadimba temple was built. Also known as the Dhungri temple, it is a wooden four-storey structure and is built in the pagoda style. It looks almost like something out of a Japanese painting. You won't find an idol in the temple, just a foot print on a stone. The temple was built in 1553 and is an important one in this area. An interesting but macabre story surrounds this temple. Apparently the king who commissioned this temple was so awestruck by its beauty that he ordered the artist's right hand cut so he wouldn't be able to repeat his masterpiece. The artist determined not to sacrifice his craft, trained his left hand to carve and built a bigger and more beautiful temple in Chamba. The people in Chamba were so happy with his new creation that they beheaded him, lest he build another temple. Over the years Hadimba became the patron Goddess of the Rajas and the goddess's blessings had to be taken before every coronation and a buffalo sacrificed after each one. Today, the Dussehra celebrations commence with the blessing of the ceremonial horse by the goddess in a ceremony called 'Ghor Pooja.' A huge fair is also held at the temple on 14th May to celebrate her birthday. Rice beer or 'Longri' flows like water and both men and women drink, dance and celebrate all night. Rahalla Falls: Beyond which is the Rohtang Pass, 51 Kms from Manali. Located at a height of 3980 m, the Pass once served as a crucial trade route, and still remains the gateway to the districts of Lahaul and Spiti. The Pass is open from June to November each year, and provides wonderful views of the entire surroundings. Just beyond the Pass is the Sonapani Glacier and the twin peak of Gaypan. The Beas Kund, the source of the Beas river, a holy site for Hindus, as the sage Vyas is said to have meditated at this spot, is also accessible from the Rohtang Pass. Rani Nullah, below Rohtang Pass. Height 3700m. Rani Nullah is shortly before the Rohtang Pass into Lahaul, at about 55km from Manali. The take-off area itself is not great as there are sharp stones to snag your lines on, but even if there is no lift it offers great 'sled-ride' flying, especially for beginners. There is a vast landing field at the truck-stop at Marhi about 400m below take-off, though be warned that at over 10,000ft a HUGE flare is needed on landing - you come in like an express train! If you have reasonable height above Marhi it is a 10Km sled-ride down to other landing fields at Kothi at the foot of the pass. Monasteries: Manali also houses three Tibetan monasteries that have been built recently. There are three recently built Tibetan monasteries at Manali. Morning breakfast at Hotel drive to excursion for Solang valley & Rohtang Pass (3978 metres) (Subject to Weather condition). Solang valley: Solang Nullah is in a side valley at the top of the Kullu valley. It is the site of Manali's ski school and, once the snow has gone, all the local paragliding 'schools'. Phatru is a steep, rocky face above Solang Nullah, facing roughly east. Take-off is about one hour's climb above the ski school. There is no top landing, but good bottom landing near the school or in the fields above Solang village on the opposite side of the river. From 10am until 1pm or so there are many excellent thermal sources. In the afternoon the sun is often hidden by cloud forming on the higher mountains behind and it can get rough as soon as it is out of direct sun. In a picturesque setting this has good ski sloped and picnic spots. HPTDC organises ski packages during winter. Around 14 kms from Manali, is the Solang valley that boasts of the glacier nearest to the resort. Rohtang Pass: Rohtang Pass, 51 kms from Manali. Located at a height of 3980 m, the Pass once served as a crucial trade route, and still remains the gateway to the districts of Lahaul and Spiti.The Pass is open from June to November each year, and provides wonderful views of the entire surroundings. Just beyond the Pass is the Sonapani Glacier and the twin peak of Gaypan. The Beas Kund, the source of the Beas river, a holy site for Hindus, as the sage Vyas is said to have meditated at this spot, is also accessible from the Rohtang Pass. Trek out of Manali to the open meadow of Lamadug. First you will trek to The Hadimba Devi Temple, which is around 2 to3 km from Manali. You will trek through thick forest after Hadimba Temple. Then you will reach Indersan (6,220m.) and Deo Tibba (6,001m.) peaks. From there you will proceed for the camp site of Lamadug. Overnight at Camp. Trek to Riyali, just above the treeline. just beyond the timberline. Trek through the Thanpari Tibba (4,000m) pass and relish the full view of beautiful Manali town and upper Kullu valley. Continue your trekking and arrive at Ranisui Lake (small). Have your lunch and follow the trail only to arrive at the camping place of Riyali Thach or Thach meadows. Overnight at Camp. Continue to the base camp of Kali Yani pass. You will trail through a rocky path, along a snowy glacier. From Kali Yani pass (4,640m) you will have a panoramic view of the adjacent major peaks of Kullu and Lahoul valley. Overnight at Camp. Rest day in this spectacular natural setting at the base of the pass. Get you and refresh yourself for today's trekking. Today your trekking destination will be Dhan Ko Thach. Crossing the pass, and hazardous rivers in various ways, arrive at the base camp of Dhan Ko Thach. Thach is locally called meadows. Descend down with your travel guide towards the shepherd camp at Lamapar. You will surely going to remember this scenic trekking trail. Trek through a lush dale. Climb up to the crests and then descend down to your camp at Dalmarhi. From Dalmarhi, trek for the Bara Bhangal Village. Post lunch you will reach first village in 7 days. This isolated village opens only four or five months in a year. Legendary Himalayan shepherds are the main populace of this area. They lead a nomadic life. During autumn they return to their isolated existence in the village. Interact with the local folks and know more about their life. Treat yourself with local cuisines. From Thamsar pass you will enjoy a trekking along the panoramic view of Dhauladhar range of Himalayas today. Enjoy a very satisfying stroll through an abundant bristle trail. After descending 5 km, you will reach at Panihartu campsite. Morning after breakfast, you will trek along the river and through the woods to the tiny settlements of the picturesque area with your trekking manger. Its scenic establishment has given this place a magical, surrealistic appearance. Trek through the woods and after crossing bridge reach Palachak Deota. In your Last day of trekking you will trek through the more peopled villages and areas. After crossing several small parishes you will reach at the base camp of Biling. Overnight stay villages on the way to the camp at the village of Biling. Continue down to the Tibetan refugee camp at Bir, then travel by jeep to McLeod Ganj, home of Tibet's government-in-exile. You should visit this town as you can get a chance to see the 14th Dalai Lama, who live at a mere five minute walk from here. The sanctity of Buddhism is so inspiring here that it is sometimes said that Tibet has lent importance to McLeodganj. The major highlight of this small panoramic lies in its monasteries, restaurants, antique and curios shops that have been nourished with the old world colonial charm. Dalai Lama Temple or Namgyal Monastery is the nerve centre, which starts rustling up since early morning. In fact the best time to visit the temple is in the morning, when you can see monks praying and rotating the heavy prayer wheels. The temple overlooks the residence of the Dalai Lama. Church of St. John In The Wilderness is a 20 minutes leisurely walk from McLeodganj main square. It is an Anglican church that is located in the forest near Forsyth Gunj. The church was founded by the British Viceroy, Lord Elgin, in the year 1852. Constructed as per Neo-Gothic architectural style, St. John is known for its peaceful environs and Belgian stained glass windows. It is one of the peaceful areas in McLeodganj. Surrounded by towering Deodar trees, the church has a cemetery close to it. Dal Lake, located some 4 km from McLeodganj. 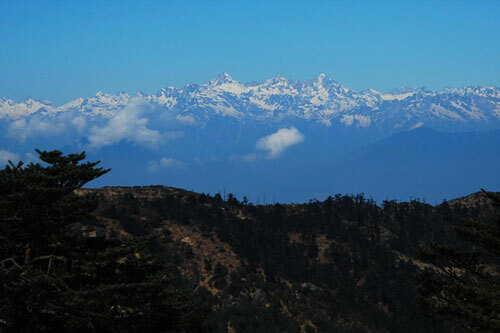 It is around 14 km from Lower Dharamsala and forms the starting point of trekking in the region. An artificial lake encircled by fir trees offers a pleasant sight. Every year, in September, it plays host to a fair. One can enjoy boating on the lake. Just close to the lake is a temple. Bhagsu Nag Temple and Waterfall are other popular places of tourist interest in McLeodganj. A 20 minute walk will take one to the Bhagsu Nag Temple. The temple is dedicated to Lord Shiva and has great historical significance. There is a small pool in front of the temple and one can take a dip in the pool. Just one and a half kilometer from the temple is the Bhagsu Nag Waterfall. One can have a bite or enjoy the nature with a hot cup of tea, as there are a few cafÃ©s close to the waterfall. Travel by jeep to Amritsar, Later proceed for Golden temple of Amritsar Golden Temple began in 1574 on land donated by the Mughal emperor Akbar. The building project was overseen by the fourth and fifth Sikh Gurus. The temple was completed in 1601, but restoration and embellishment continued over the years. The temple had to be substantially rebuilt after it was sacked in the 1760s. In the early 19th century, 100 kg of gold were applied to the inverted lotus-shaped dome and decorative marble was added. All this gold and marble work took place under the patronage of Maharaja Ranjit Singh. The legendary warrior king was a major donor of money and materials for the shrine and is remembered with much affection by the Sikh community and Punjabi people. Overnight will be in Amritsar. Early Morning after breakfast at the hotel. Visit the India Pakistan Border (Waga Border) for a dress parade. In the late afternoon we drive for railway station to take Shatabdi deluxe train for Delhi. Reach and stay overnight at Delhi. Depart - Delhi and transfer to airport for catching a flight to onward journey. On arrival meeting & Assistance by our office Representative. Transportation / Transfers by air-conditioned vehicle as per itinerary. Service of English speaking local guide during sightseeing tour. Driver allowances, Petrol / Gas cost, Toll Tax, Parking, and Vehicle Insurance. All applicable taxes as per present structure. Meals other than those specifies in the above. Camera fee, Special guide charges & tips etc. Things of personal nature like laundry, telephone etc.